Escaping London to enjoy some fresh sea air is always a treat, especially when you visit somewhere that makes you feel at home as soon as you step through the door. 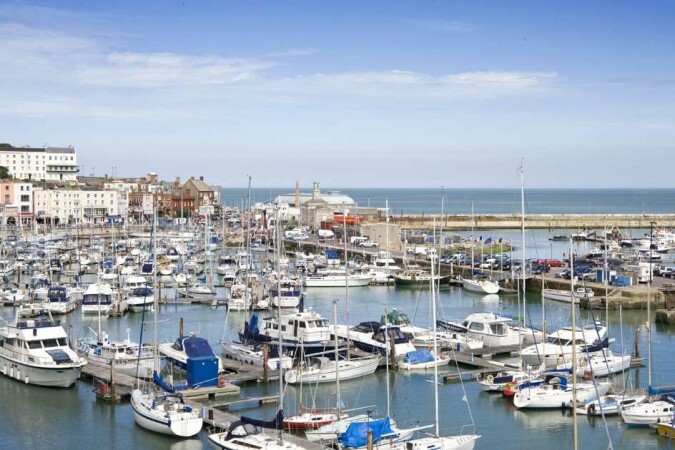 The Royal Harbour Hotel in Ramsgate, Kent, is a leisurely drive from London and a quintessential seaside hotel. 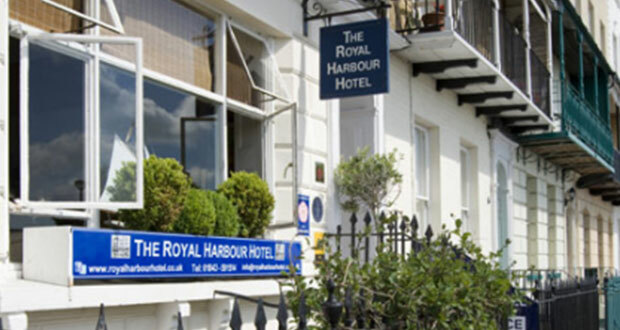 The Royal Harbour Hotel is a delightfully quirky 27-bedroom townhouse hotel that stands on a beautiful Georgian crescent with magnificent views of the harbour and sea. It is perfect for families, foodies and couple who are seeking a romantic break. From the moment we arrived, they were very accommodating with the baby and offered a cot for him to sleep in. The room we were given was spacious enough for two people and a baby, it also boasted comfortable beds and pretty throws. 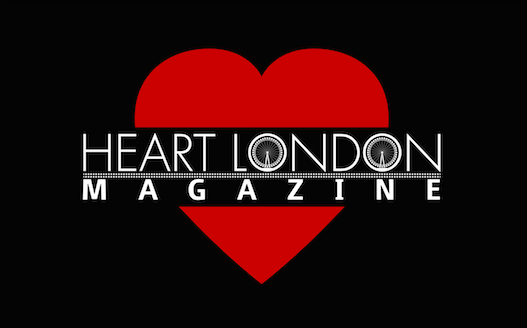 This lovely little gem of a hotel has really taken the time to ensure it is a place you will remember, from an honesty bar in the relaxing lounge, a real fire and the best part – a wonderful selection of vinyl for you to play at your leisure. For those pooch lovers, they even allow your four legged friends to join you. 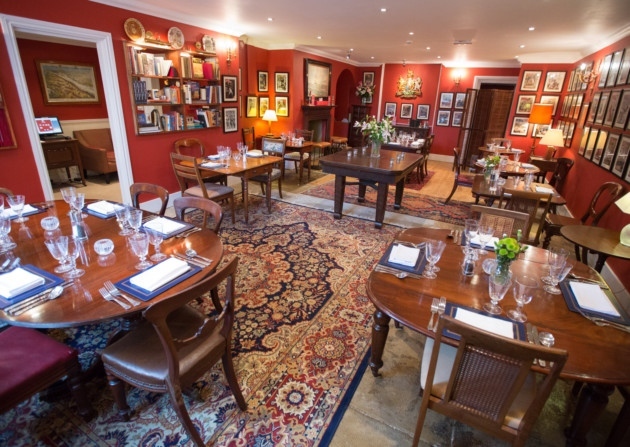 The restaurant is award winning and is it easy to see why, as the food was simply perfect! The service is also outstanding, from the gentleman who checked us in, to the wonderful waiting staff, everyone makes you feel welcome and clearly enjoy working in such a wonderful place. The restaurant is full of British artefacts and decorated in a stunning royal red. There is an excellent selection of food and the hake was cooked to perfection, a must have for all those fish fans. The chef ensures each dish is excellently presented and you can enjoy beautiful wine, at a reasonable price. Carefully chosen jazz plays in the background, whilst you enjoy the outstanding culinary experience. After dinner, we headed to the lounge that is set up for you to unwind in a relaxing atmosphere, as previously mentioned there is a wonderful selection of vinyl for you to play as you sip on wine and watch the real fire crackle. There is something special about the sound of the needle on a record and the owner has an eclectic collection, so there really is something for everyone. When the fire felt a little too warm for the baby, I headed to the adjoining family room, where you can also watch your favourite TV show. After a wonderful nights sleep, we headed for breakfast they had one of the biggest selections of food that I have ever seen. From very fresh fruit, to perfectly cooked breakfast, yogurts and real honeycomb! Heading back from our walk by the sea, I knew that this wonderful hotel would stay in my mind as a special place to visit and one where you know you will always feel welcome. We would fully recommend this hidden gem, for a family getaway, a romantic weekend or a trip away with the girls. We can be sure your first visit, will not be your last!